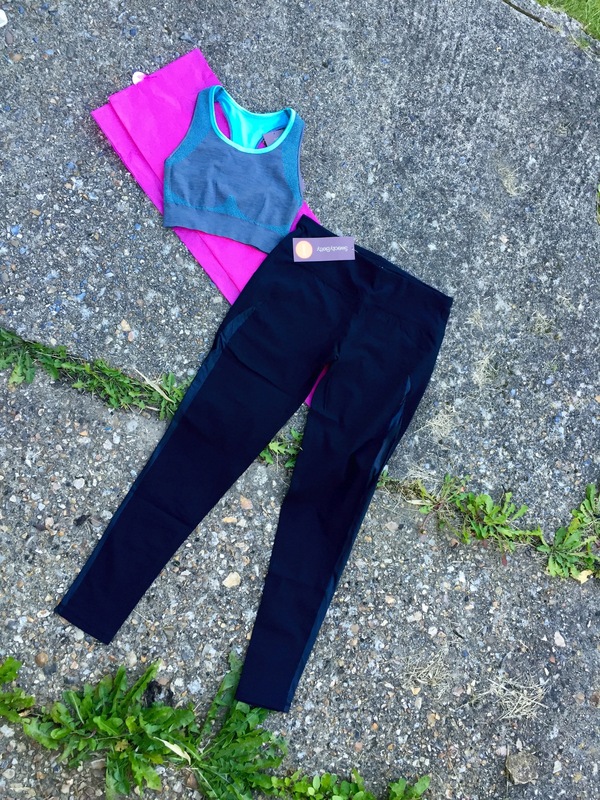 Heading out to get your sweat on is just that little bit better when you’re wearing something you love. 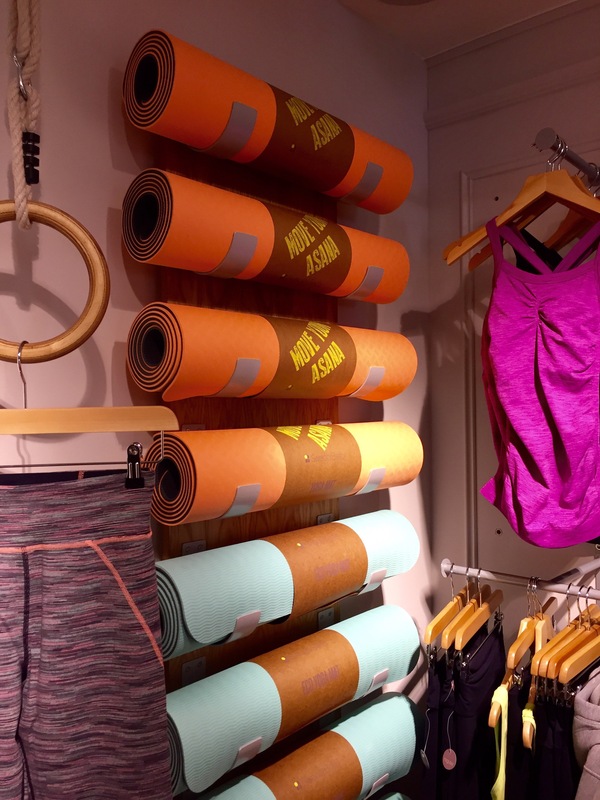 For me, Sweaty Betty is top of the list when it comes to brands whose clothes take some of the ‘work’ out of workout. 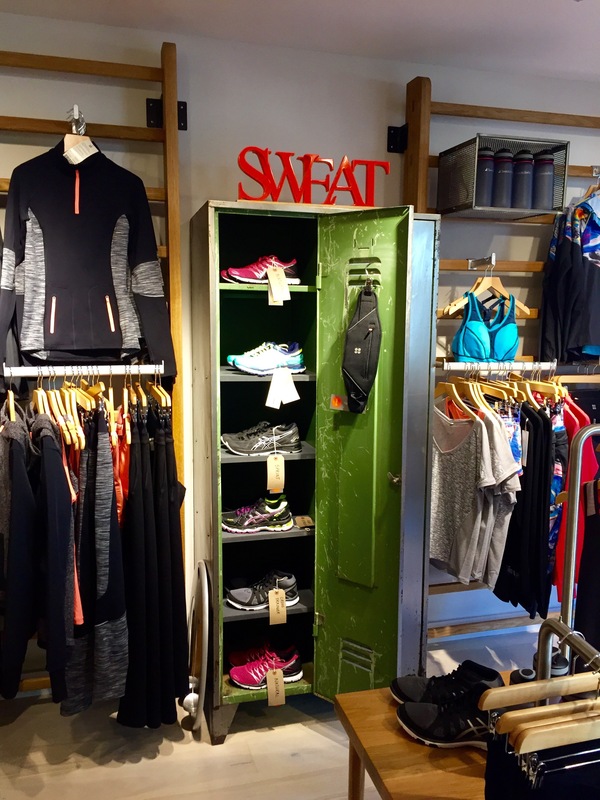 So, you can imagine my delight when I found out that there would be a new Sweaty Betty opening in Farnham! 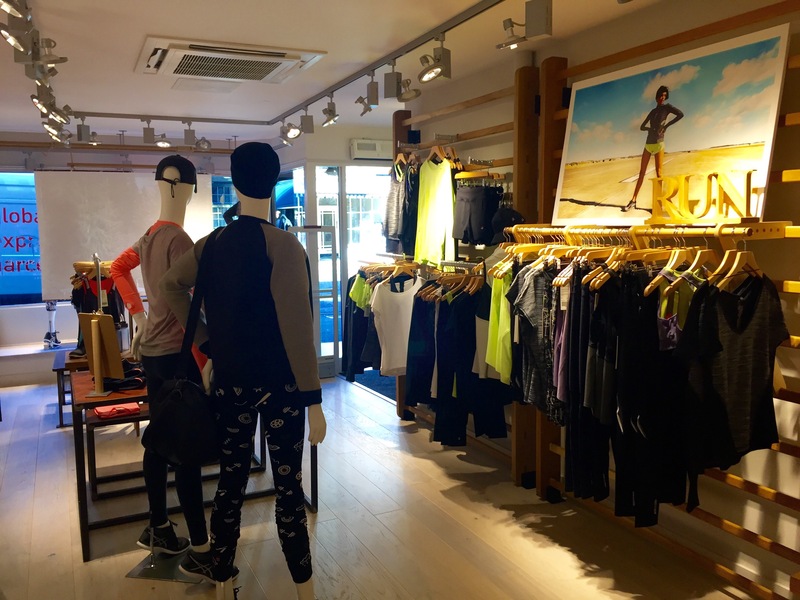 In this post I wanted to not only introduce you to the new store, but to talk a little bit about the fantastic free, yes, FREE, fitness classes which are happening at a Sweaty Betty near you every week. 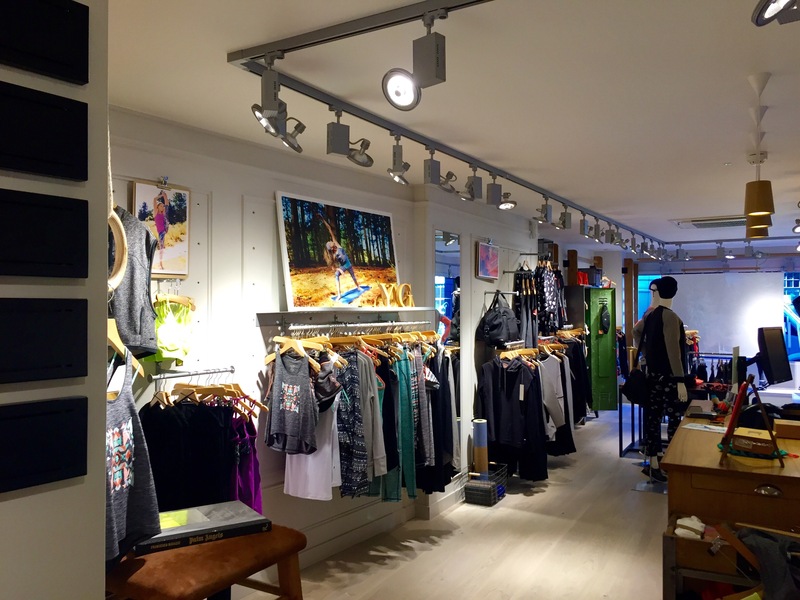 But first, let’s have a little look at the new shop- ta-daaaa! 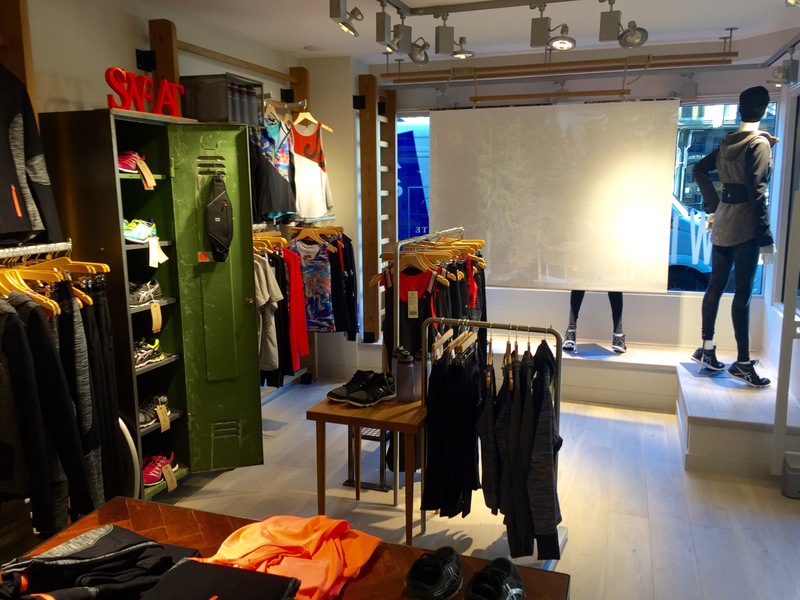 Everything is organised really clearly, from outfits suited to running, yoga or all round sweating, to specific sections for underwear, equipment and footwear. 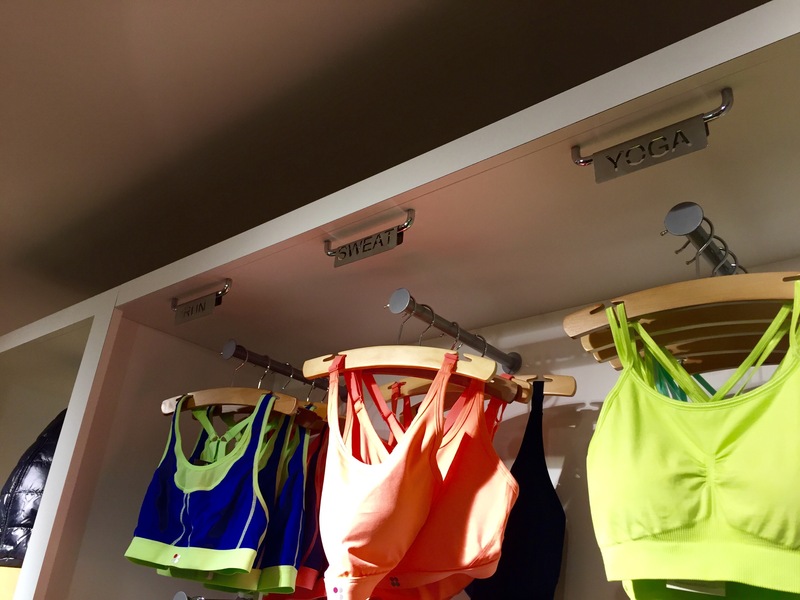 It’s clear to see that this Sweaty Betty branch was designed with the future in mind, namely the company’s dedication to helping its customers #GetFit4Free. 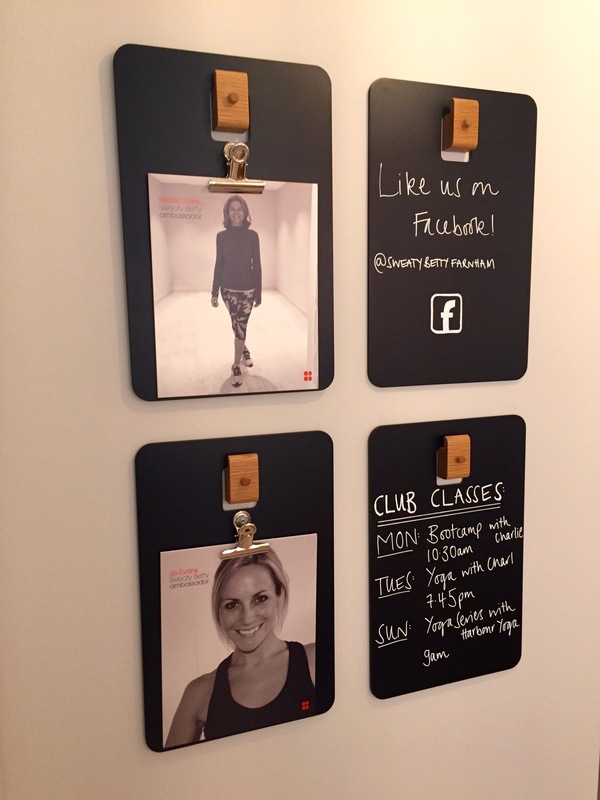 As previously mentioned and as you can see below, the Farnham store offers its own classes! 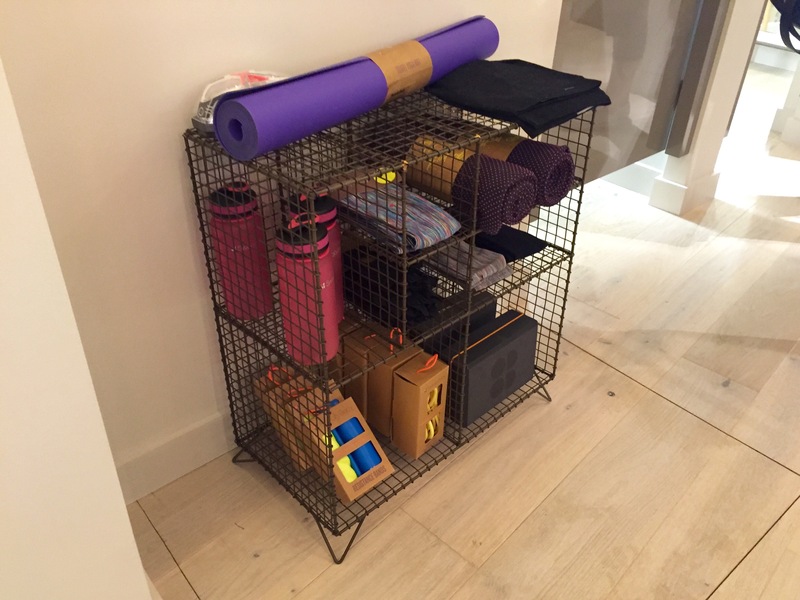 I attended the first 7.45pm Vinyasa Yoga class on Tuesday with Charlotte, and it was brilliant. 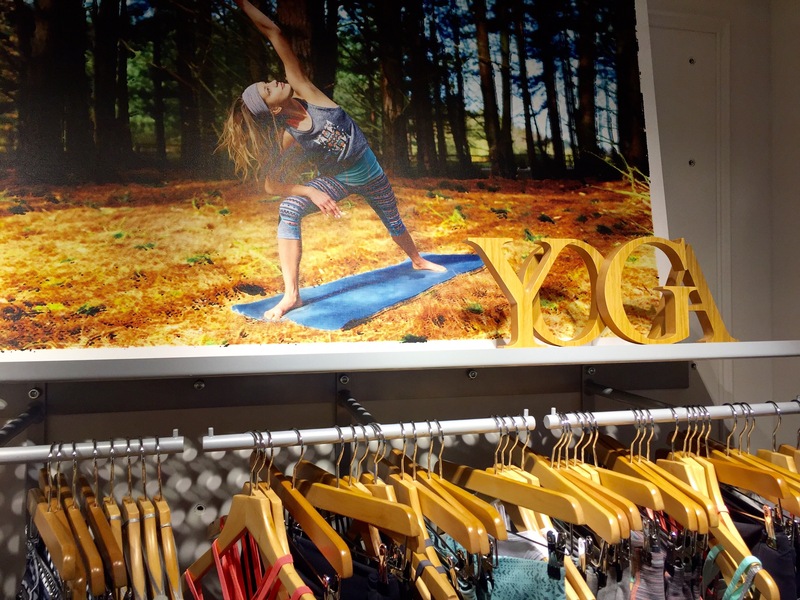 Although it was a bit strange doing yoga in the middle of the shop, the workout was intense and effective, and Charlotte was a fantastic teacher. What’s more, just in case I didn’t make it clear the first or second time, the classes provided are indeed free. The excellent thing about these sessions is that they’re of the standard you would receive if you were at a club or gym, but if you try it and find that it’s not for you, you’re not tied in financially to a discipline which you really don’t enjoy. 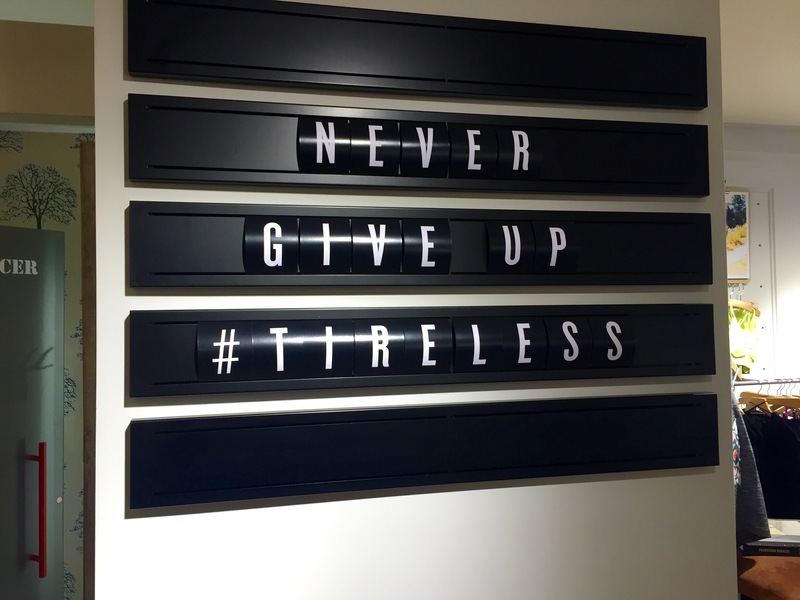 Equally, if you find that you absolutely LOVE the class, you get a little kick out of knowing that you’re improving your fitness while saving a penny or two. 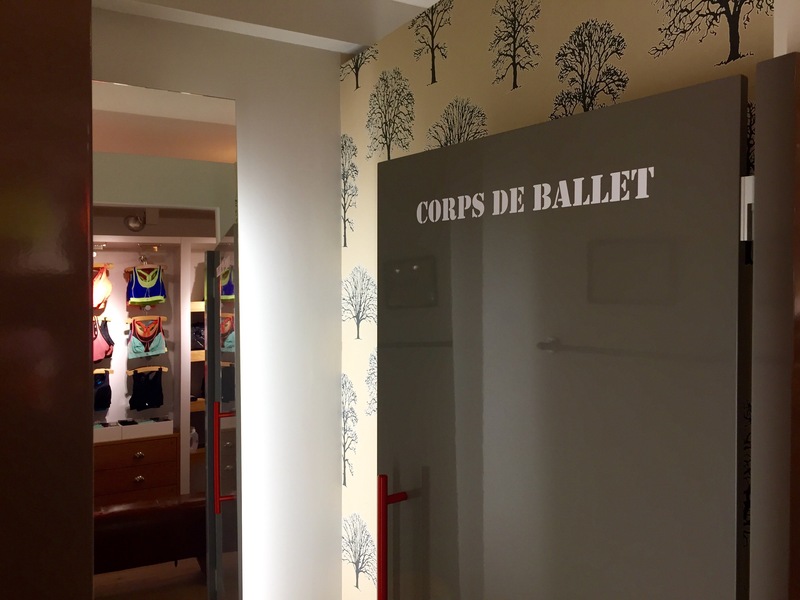 You can search for different classes around the country, and indeed abroad, here. 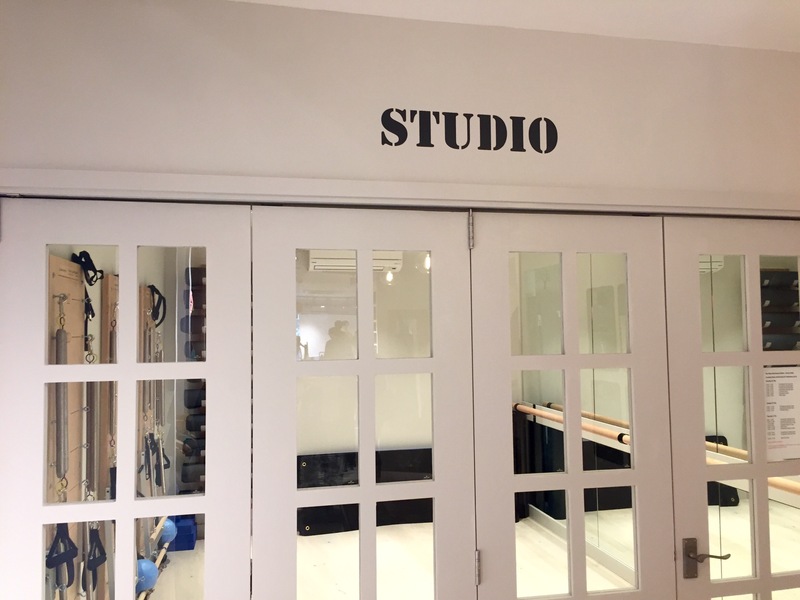 At Sweaty Betty Farnham, there’s even a little studio at the back of the boutique which is not only for SB classes, but also serves as ‘The Pilates Express Studio’, part of The Pilates Suite, which has studios in Farnham and Hampton Wick. 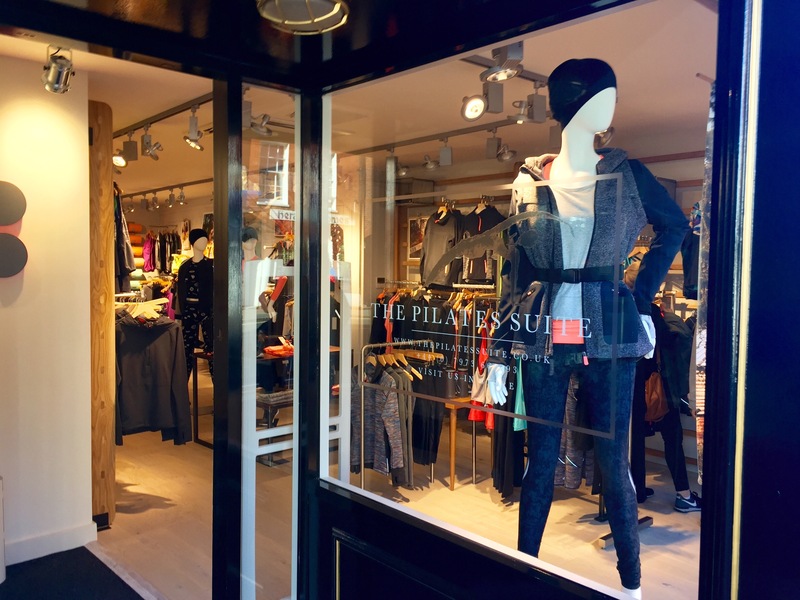 There are currently discounts running on these sessions to celebrate the opening of the new store, so head on over to The Pilates Suite‘s website to see if there’s something for you there, too. 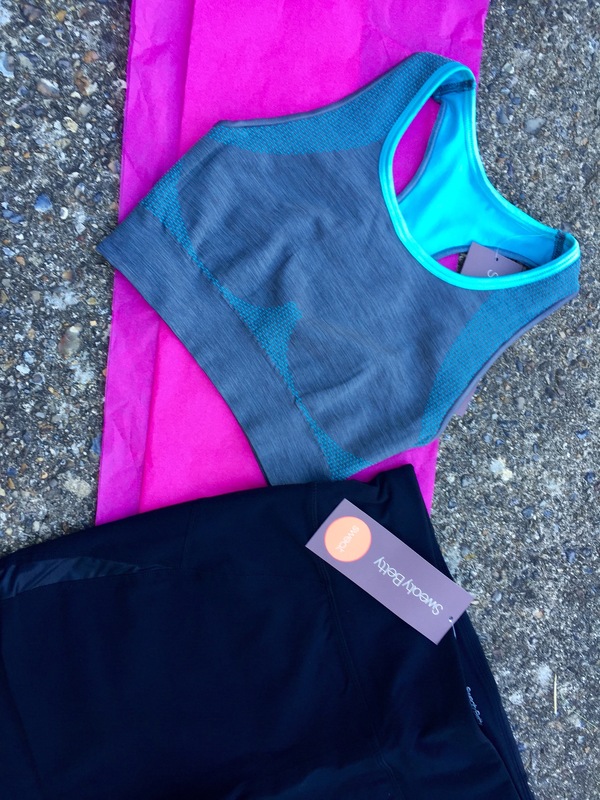 And of course, while I was admiring the new boutique, I had a good look at some of the pieces in store and picked up a new sports bra and a pair of leggings. 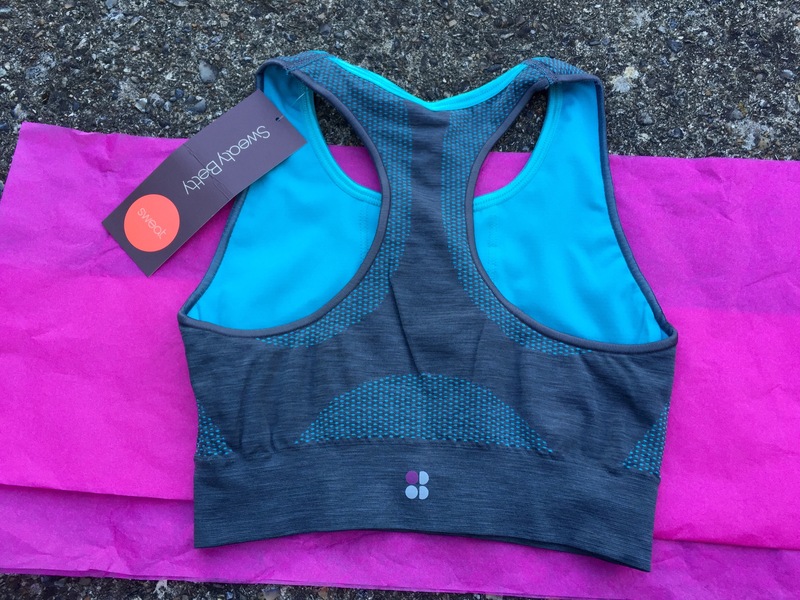 This Resistance Workout Bra comes in at £35 and has a handy little inside pocket on the front in which to keep keys or some cash. I chose this grey marl and blue design, but it also comes in violet and lime as well as a lovely minty colour. My second purchase was this pair of leggings. 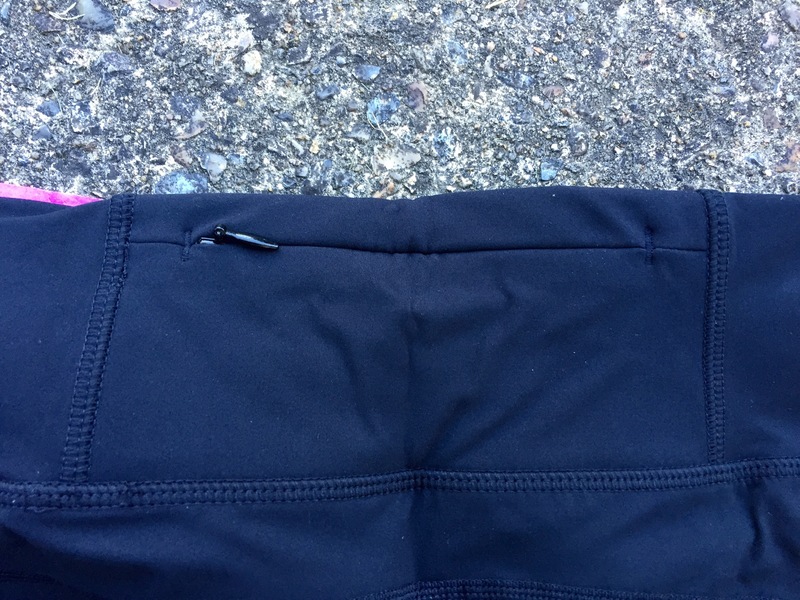 They’re called the 10k Run Tights, and although I’m not much of a runner, I chose them for their versatility. 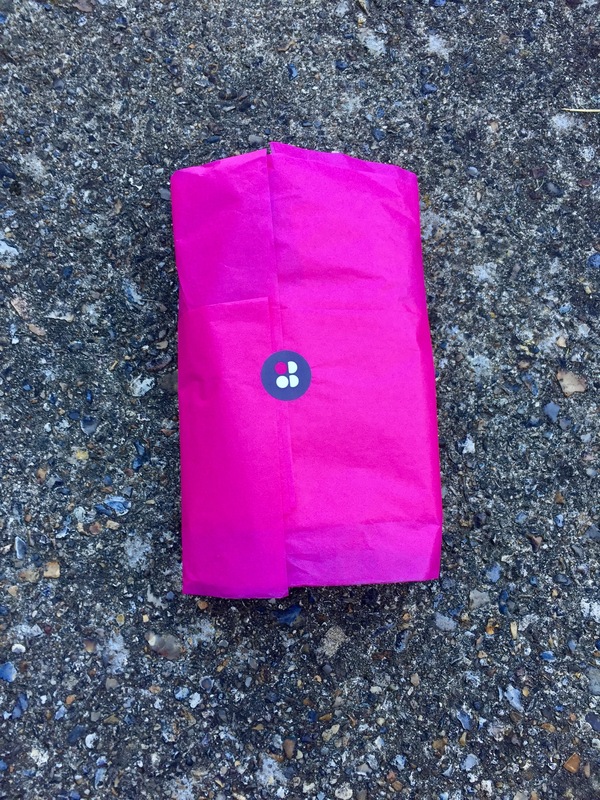 They have a lovely matte finish and this handy zip pocket on the back. They’re a touch pricier at £70, but I had a £15 gift card from Sweaty Betty to use, so I couldn’t resist. 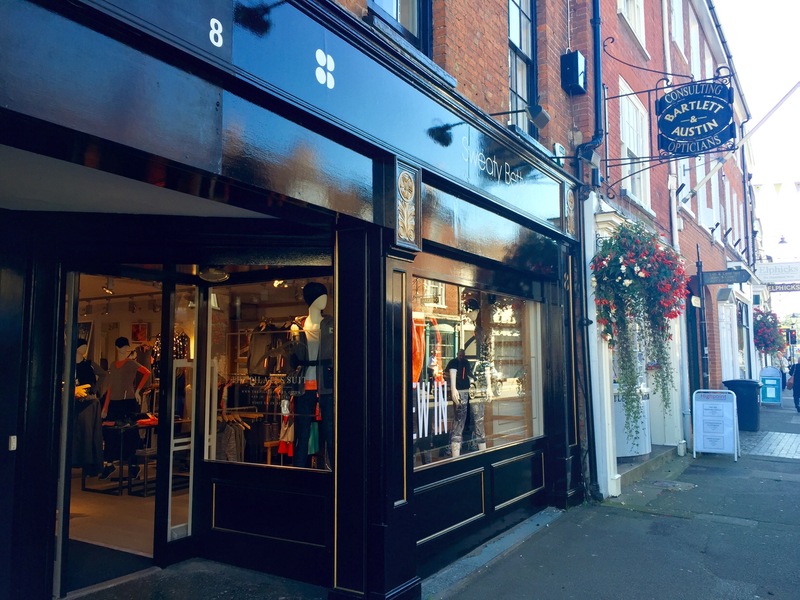 Until now, my closest boutique was Guildford, which meant that any time I thought about checking out their latest stock or signing up to one of the free classes, the hell that is Guildford’s one-way system traffic during peak hours put paid to those ideas as quickly as they appeared. 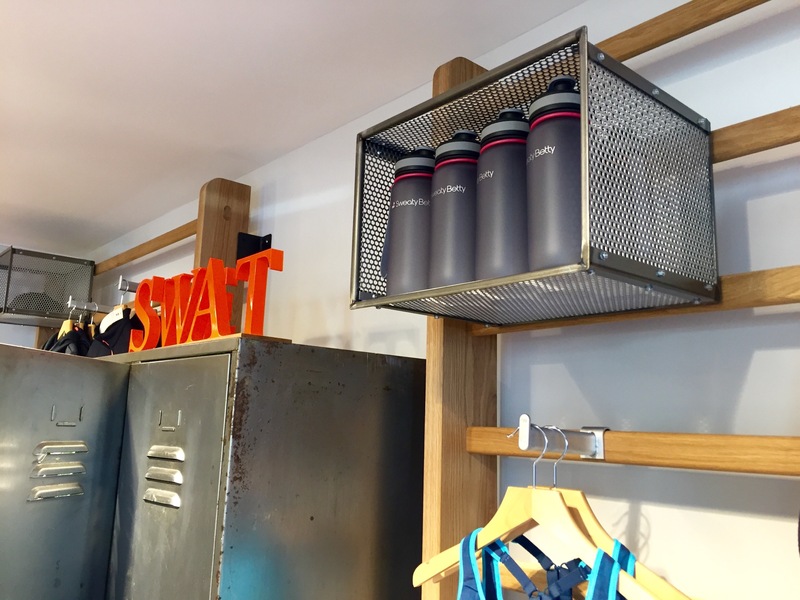 I know I’m not alone in being really pleased that Farnham now has its very own Sweaty Betty, and I’m really looking forward to seeing how the boutique grows, and to seeing its inevitable success. See you on the mat next Tuesday! Many thanks to Katie, the SB Farnham Manager, and Lois, the Assistant Manager, for allowing me to take these photos and being generally lovely when I popped in!